It's time to make your jewelry box the "Happiest Place on Earth". 1. You’ll be completely mad about this gold and silver three-piece pendant set. Get it from Macy’s for $14.99. 2. Every Tangled fan will be pressed to get this charm bracelet. 3. You luckily won't have to go under the sea to catch this beautiful shell bangle. Get it from Macy’s for $19.99. 4. Bring honor to your accessories collection with these adorable Mulan and Mushu earrings. Get them from Candy Design Crea on Etsy for $28.41. 5. No one will sleep on these gorgeous Aurora earrings. Get them from Walmart for $59.67. 6. You’ll have no worries when you slide on these Hakuna Matata bangles. Get them from Amazon for $67.97 each. 7. 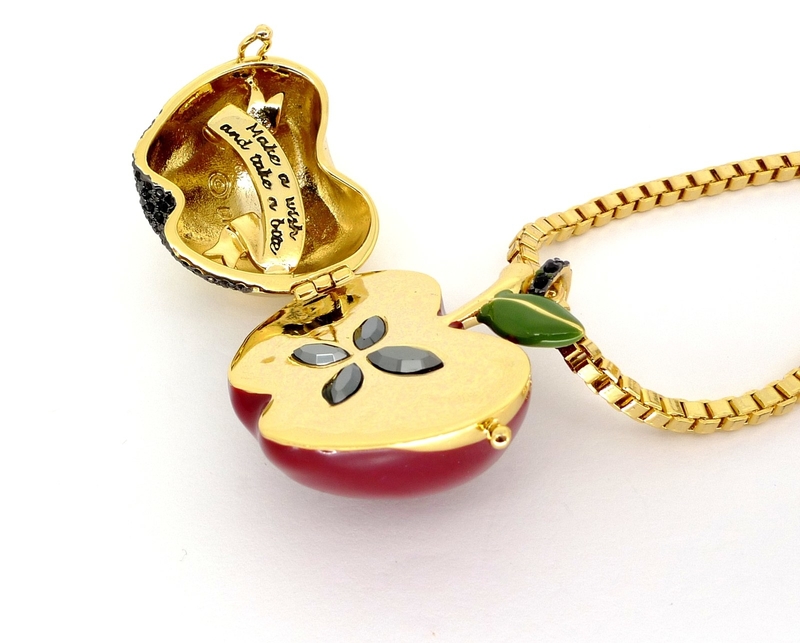 This poison apple locket is ideal for any Snow White fan. 8. This Peter Pan Pandora bracelet charm is perfection. 9. Dumbo will always keep you inspired with this adorable necklace. 10. Your writstwear will finally be all the way there with this charm bracelet. Get it from Made By Golightly on Etsy for $4.25. 11. Prince Charming won't be too far away once you slip on this Cinderella slipper necklace. Get it from Amazon for $7.99. Available in 10 colors. 12. Show some serious girl power with this cute Minnie Mouse watch. Get it from Amazon for $26.07. 13. This carriage necklace is beyond magical. Get it from Target for $8.95. 14. There is truly no parallel to this gold nameplate necklace. 15. This watch will confirm to your crew who the fairest of them all really is. Get it from Amazon for $21.89. 16. Remind yourself of a few of Ariel's most encouraging words with this necklace. 17. You can keep your best buddy close at all times with these Woody and Buzz friendship chains. Get them from KK And Whimsy on Etsy for $25. 18. Robin Hood may want to borrow — but hopefully not steal — this arrow ring. Get it from Moon Raven Designs on Etsy for $57. 19. Princess Jasmine would totally love this gold and turquoise choker. Get it from Amazon for $100. 20. All you'll need is a little fairy dust after putting on this initial Tinker Bell chain. Get it from Amazon for $29. Available in letters A, B, C, D, E, J, K, L, M, P, R, S and T.
21. 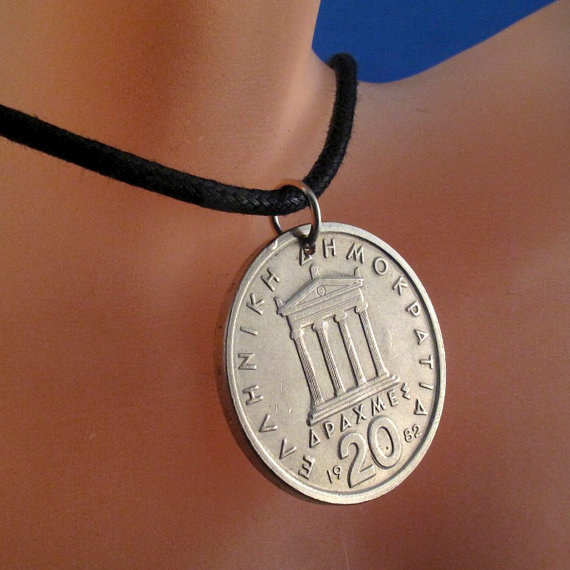 Adding this coin pendant necklace will make your look the style truth. Get it from Parts for You on Etsy for $9.95. 22. Become the jewelry king with this Simba quote necklace. 23. This Pinocchio puppet necklace will have you ready to wish upon a star. Get it form Amazon for $109. 24. And you can show his bestie Jiminy Cricket a little love too! 25. Lift you favorite Dumbo fan’s spirits with this sweet necklace. 26. Let Mickey and Minnie show you what real couple goals are with this pendant necklace. 27. Capture Ariel's curious spirit with this charm necklace. Get it from Enchant Me Jewelry on Etsy for $22. Available in 16 crystal color options. 28. There’s no better way to flaunt your bond with your bestie than with these Fox and the Hound friendship necklaces. Get the pair from With Love from OC on Etsy for $46. 29. Take the party everywhere you go with this Lilo and Stitch hibiscus necklace. Get it from Hot Topic for $7.87. 30. 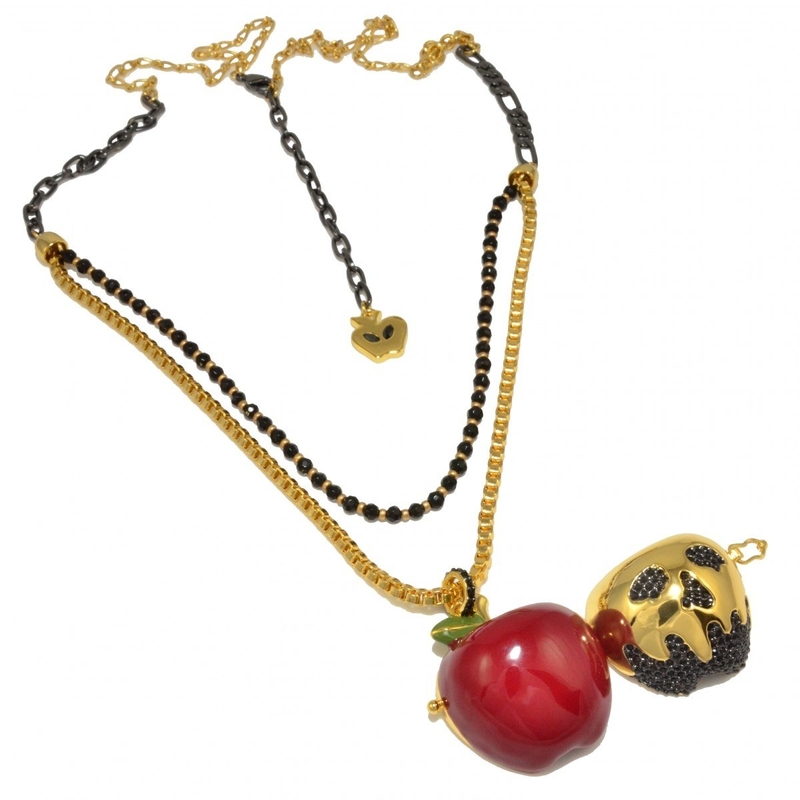 Show off your bad side with these poison apple drop earrings. Get them from Disney Couture for $69. 31. 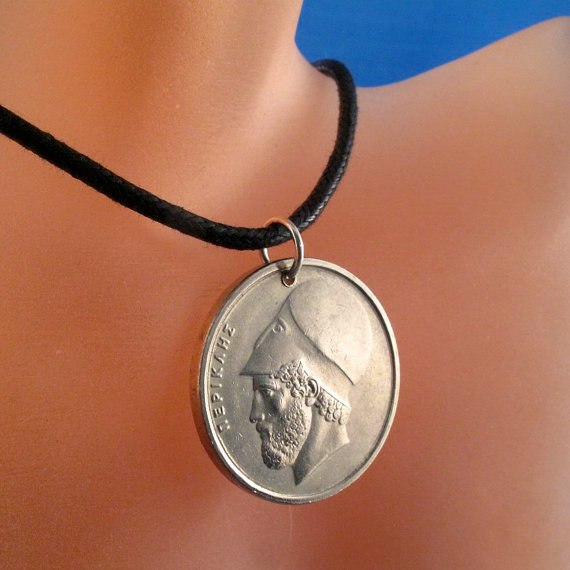 Give one of Merlin’s most beloved spells a try with this stamped necklace. Get it from KK And Whimsy on Etsy for $25. 32. You ain't never had a necklace as amazing as this Aladdin lamp chain. Get it from Belk for $67.50. 33. And let people know you — and your boo — are taken with these cute Beauty and the Beast rings. Get them from Whomp Ware Etsy for $39.95. And just like that, all your jewelry dreams have finally come true!